A little extra seating never looked so interesting. The Bravo Side Chair from Armen Living is a floating work of art that your guests can sit on. 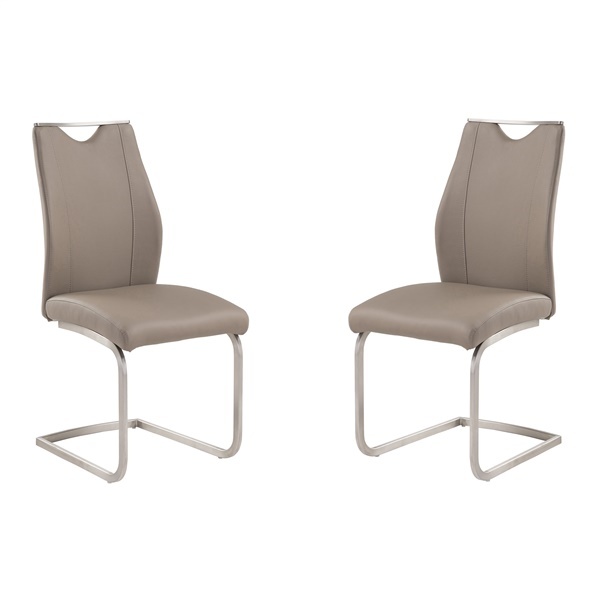 Featuring a durable reinforced contoured stainless steel base, a modern minimalist silhouette, and a comfortable foam interior upholstered in white or coffee leatherette, a distinct u-shaped slope on the back gives the Bravo Side Chair a final defining detail.